The company Koenigsegg announced the completion of orders for hypercarriers Regera: all 80 copies from the planned series have already found buyers. Recall, Regera was first shown in 2015 at the Geneva Motor Show. The highlight of the car was the lack of gearbox: the proprietary power plant KDD (Koenigsegg Direct Drive) includes biturbo-watch 5.0 (1115 hp) and three electric motors. The central electric motor serves as a starter generator and the main driving force at a speed of less than 50 km / h, and the motors located on the semiaxes control the thrust vector. The main gear is mechanical, with a gear ratio of 2.85, and the hydraulic clutch controls the communication between the engine and the transmission, changing the degree of slippage (until the complete blockage) necessary to propel the gasoline engine when it comes to "combat" speeds. The total output of the power plant is 1510 hp. and 2000 Nanometers at the equipped weight of the machine 1590 kg. In 2016, the Swedish company introduced in Geneva a serial version of the Regera, which was made about 3000 changes. Then the dynamic characteristics were announced: acceleration to 100 km / h in 2.8 seconds, to 200 km / h in 6.6 seconds, to 300 km / h in 10.9 seconds, and to 400 km / h for 20 seconds! At the same time it became known that half of the lot (40 cars) has already been booked by customers. Now, after 15 months, the Swedes sold the second half. Although the machines themselves have not even been made: orders will be carried out within four years! Curiously, for an exotic hypermarket manufacturer, the circulation of 80 cars is the largest batch in history: until now, Koenigsegg cars were built in unit quantities. 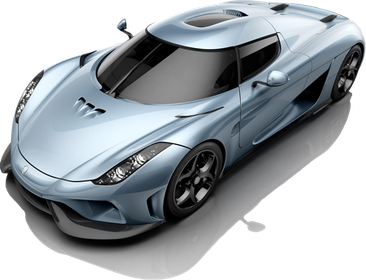 And if you consider that the minimum price for the Regera model is $ 1.9 million, then the firm's revenue can only be envied. I have made a presentation for my MBA subject "LUXURY RETAIL" so i need an copy of manual for further information about this most beautiful creation of Sir christian von koenigsegg.